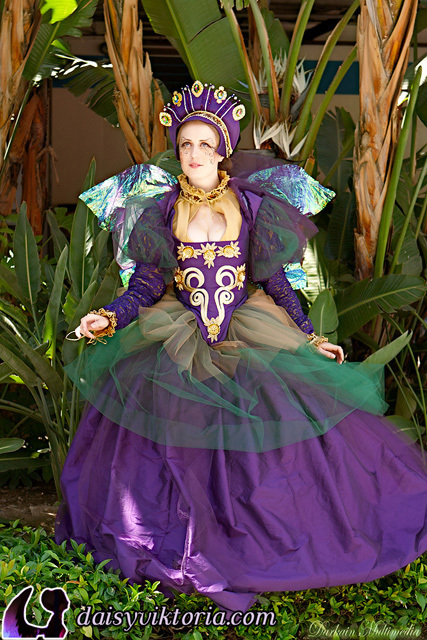 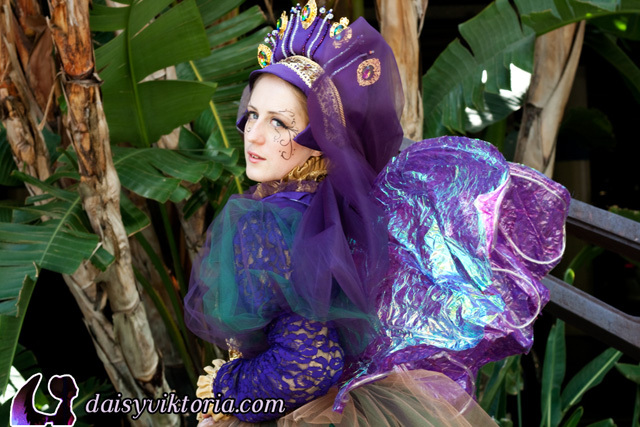 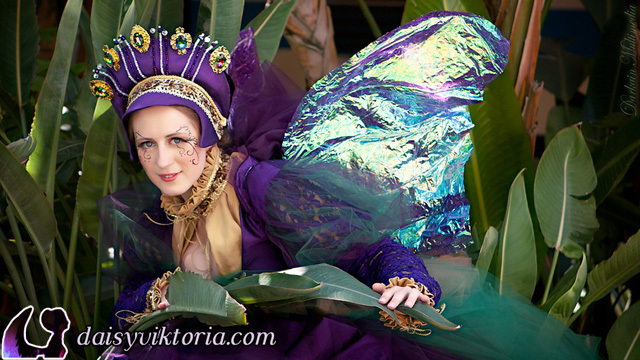 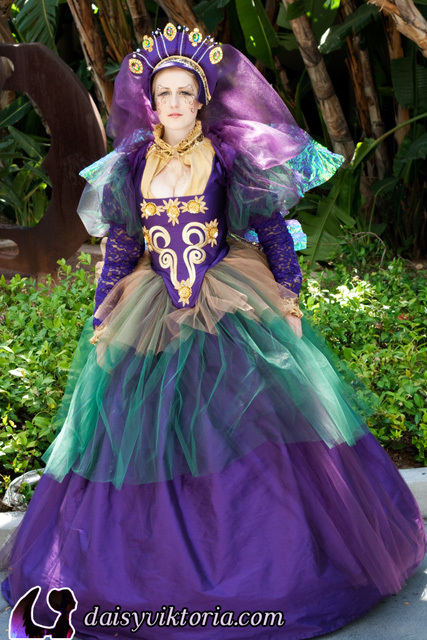 I designed this costume to have a historically accurate base with a lot of additional fantasy elements. 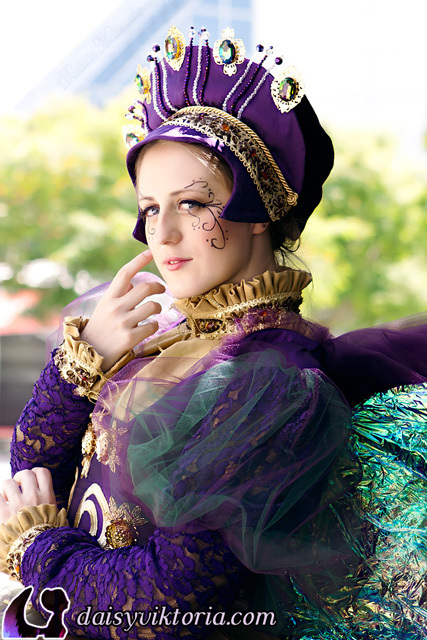 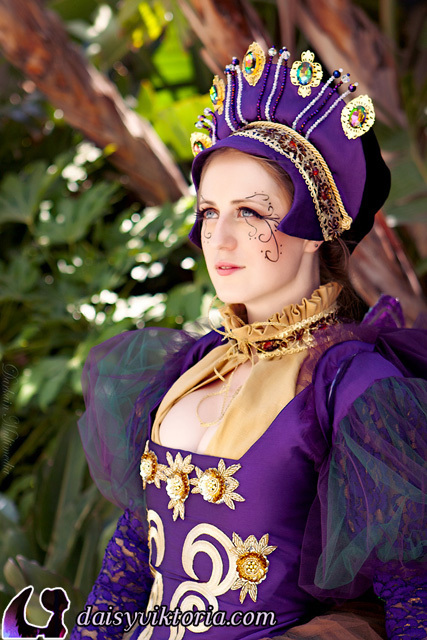 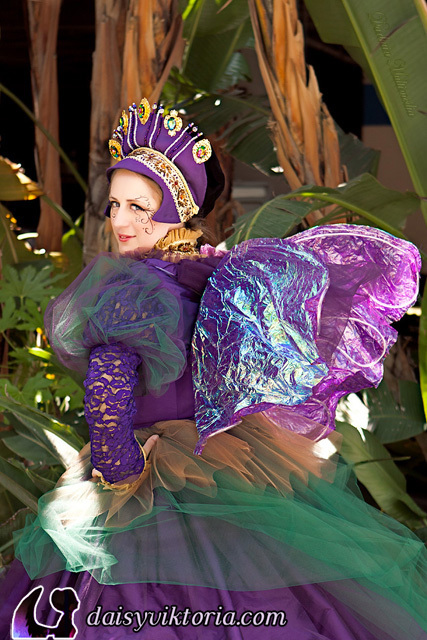 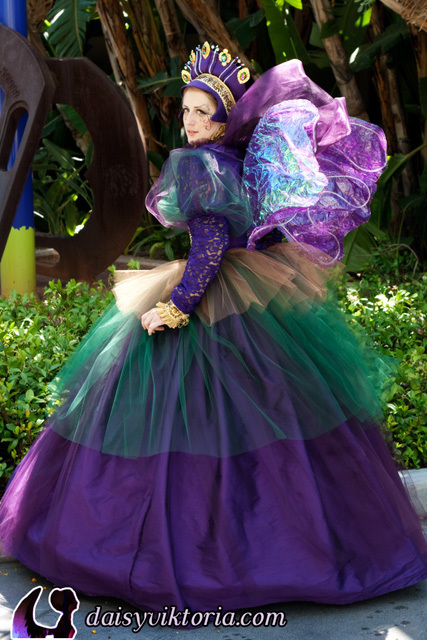 The undergarments and the base gown are also worn as my purple and gold Elizabethan costume. 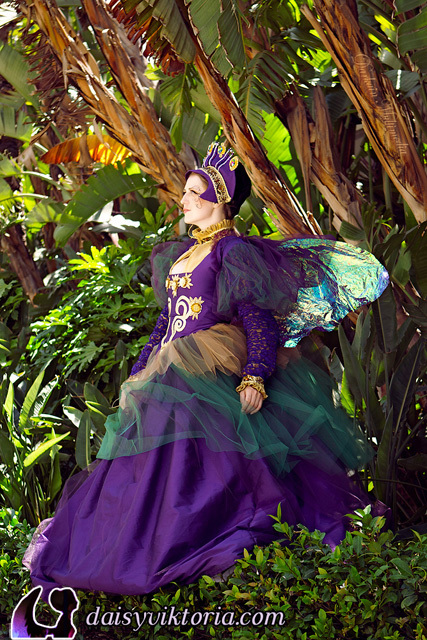 I also have some flowing faerie elements, all with Elizabethan influence but with faerie tones and fabrics, and a pair of wings that can light up.